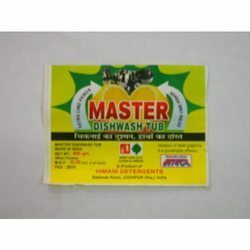 Manufacturer of a wide range of products which include master dishwash bar, master dishwash detergent cake and dish wash tub. Leveraging on our industrial expertise, we are able to come forth with high grade Master Dishwash Bar. In order to ensure the peerless features of these dishwash bars, we formulate these with the assistance of professionals by utilizing quality assured ingredients, procured from the most trusted vendors of the industry. After the completion of the production process, we pass these dishwash bars under a quality check so as to ensure their effectiveness. 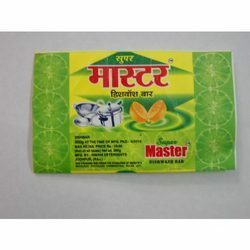 We have established ourselves as a leading manufacturer and supplier of Master Dishwash Detergent Cake. In order to meet the clients requirements, we manufactured this product as per the specifications laid by them. Our professionals used fine-grade chemicals and other raw material for processing this detergent. 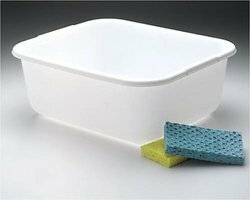 We supply Dish Wash Tub to our customers. It is of very light weight - 800 gm and comes with a free Scrubber inside. It is made of stainless steel or plastic. These tubs are generally strong and durable.